Until six months ago, it was probably safe to say no woman had ever lusted after a shower cap. They’re notoriously unflattering, embarrassing and leave you with indelible elastic imprints on your forehead. But thanks to a very determined — and creative — woman, the dowdy shower cap is now a chic object of desire. Jacquelyn De Jesu is an advertising creative director who grew up, thanks to her hairdresser mother, knowing she shouldn’t wash her hair every day, but hating every shower cap she met. “They have always been a running joke,” she says. “I wanted something that didn’t exist! It was truly born out of necessity.” De Jesu set out to create an edgy, highly functioning waterproof headpiece that women would feel beautiful wearing. 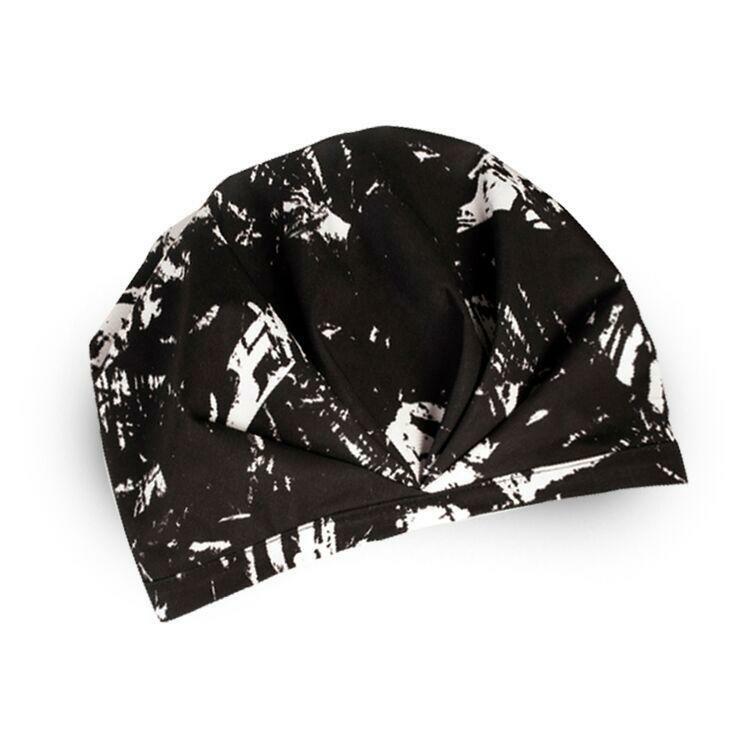 Enter Shhhowercap, the pleated, turban-style cap that comes in fashion-forward prints, is breathable and anti-humidity, doesn’t leave marks and can even be worn atop a hair masque treatment. De Jesu launched her game-changing shower accessory last fall after countless time spent “Googling, poking around in beauty forums, and reading the comment chains of any blog articles that referenced shower caps, dry shampoo, or why you shouldn’t wash every day,” she says of her process. “Also a lot of the reviews on Amazon’s shower caps.” She also stopped into NYC beauty boutiques to ask about customer’s shower cap requests, and asked virtually every woman she came in contact with whether they use a shower cap. One of the key differences in the stylish Shhhowercap is the choice of material. “The fabric feels so premium to the touch and the water beads up right off of it. It’s light, antibacterial and takes prints so beautifully,” says the founder. In the future, expect seasonal runway-inspired patterns to join the original lineup, which includes The Kent (abstract black and white), The Laguna (watercolor), and The Yonce (red and black graphic print inspired by Bey herself). Body Wash vs. Bar Soap, Does it Matter?